From the Spring 2018 issue the three quarterly magazines will be amalgamated under the Aviation World title. Subscribers to Aeromilitaria and Archive will continue to enjoy the same articles and features they have received in the past, managed by the same editors - but within the new 72 page Aviation World magazine. The regular listing features of Aeromilitaria and Archive, including such as Crash Sites, Overseas Complete Registerswill be published in a new Aviation Archives section of the updated Air-Britain website. By making this material available electronically, it is hoped that its improved accessibility will allow members to analyse the raw data and generate articles or conduct further research than is currently possible with the hard copy lists. Please click here to read a sample copy of a recent issue of our new magazine. 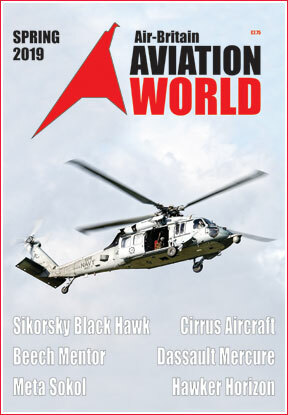 Please click here for the subject index of the last 5 years Aviation World.